You guys, I’m on my way back from London as I type! What a whirlwind of a trip. It would’ve been absolutely fine, except for the fact that we took a redeye flight in and didn’t get a chance to rest at all. Upon arriving to my hotel room, I took a shower, got ready, and went to the office. The sleep factor didn’t get any better over the next couple of days. Phew! I’m really looking forward to some relaxing, quality, family time this weekend! 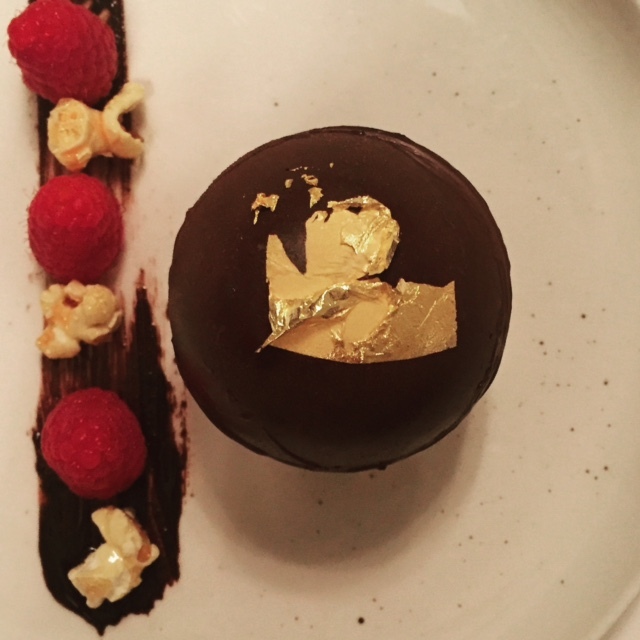 With that being said, I have a few fun London updates (all food related…big surprise). 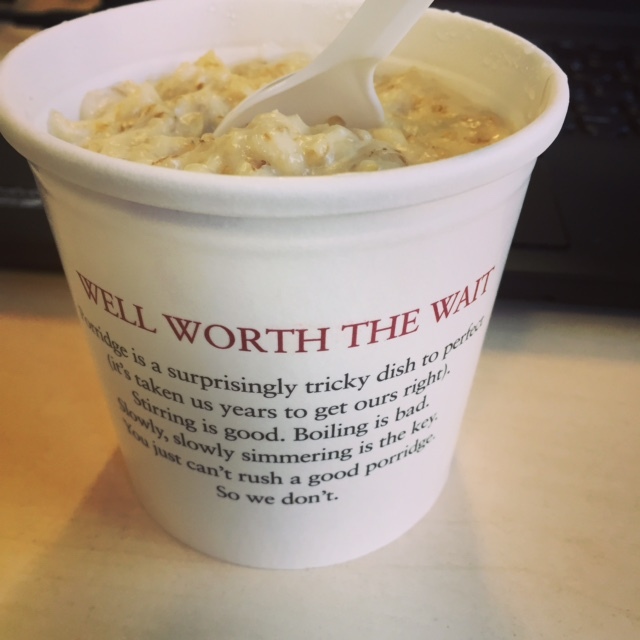 Firstly, I ate my beloved Pret’s porridge twice, and it was glorious. My boss tried (and loved) it too! Her exact words were, “You mentioned this stuff a few times now. I should probably try it.” Haha! Second, we had dinner at a restaurant called Granger and Co. on Tuesday evening. I’m telling you, every London restaurant I try is amazing and often better than the last. This place had quite a few vegetarian options. 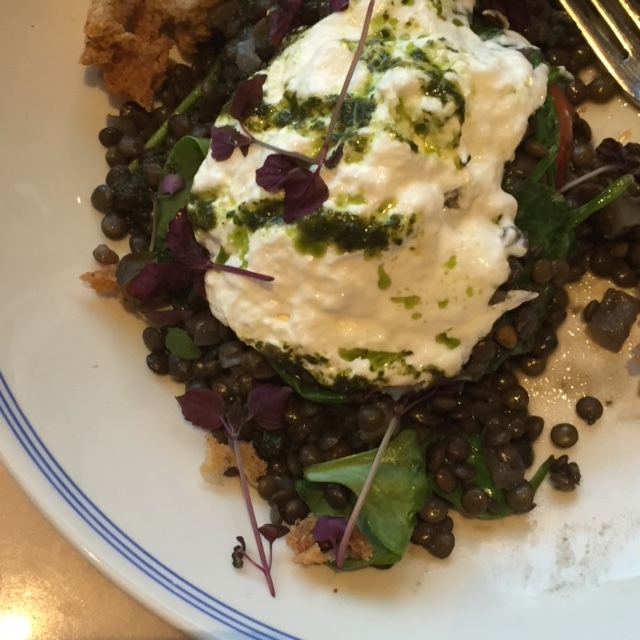 I decided to try the lentil, tomato, and burrata dish – so much texture, flavor, and earthiness. I need to recreate this one soon! Other than that, the trip was all about that work, work, work, work, work life. I plan to rest as much as possible before landing in Chicago because this weekend is full of activity and good food. More on that next week! Weekend Recap – Three Days Three Places! I need to try that Pret Oatmeal next time I visit London. Have you tried it in NYC? Is it that different? The burrata salad looks amazing too. Sounds like a good trip had! Granger and Co in Clerkenwell is my favourite (compared to Kings Cross and Nottinghill). Try the ricotta hotcakes and sweetcorn fritters next time (and swap the bacon for avocado salsa). I credit Bill Granger for my interest in food. I’ve amassed a number of his cookbooks over the years and his laidback approach to life and cooking is commendable. Oooh! I definitely will. The food I tried was so delicious and fresh. Like I always say, London knows food and is a foodie’s dream!